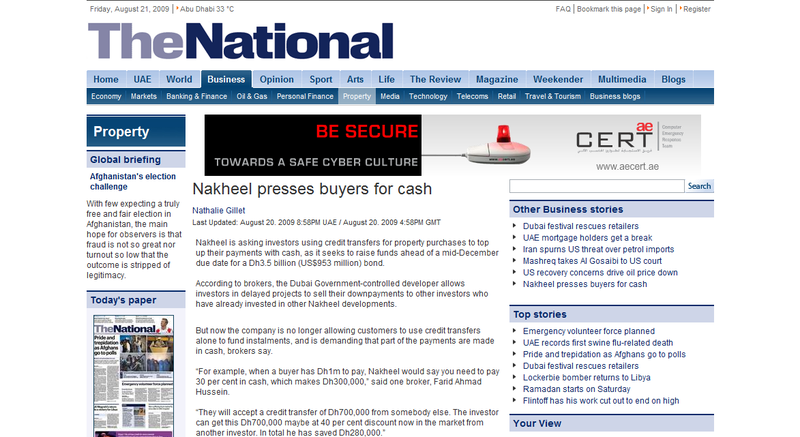 Dubai: Dubai’s master developer Nakheel, which has more than $60 billion worth of projects in its portfolio, has taken legal action against PalmInvest – an unscrupulous real estate investment broker based in the Netherlands for fraudulently selling bonds with a nine per cent interest rate for property on Palm Jumeirah in Dubai. 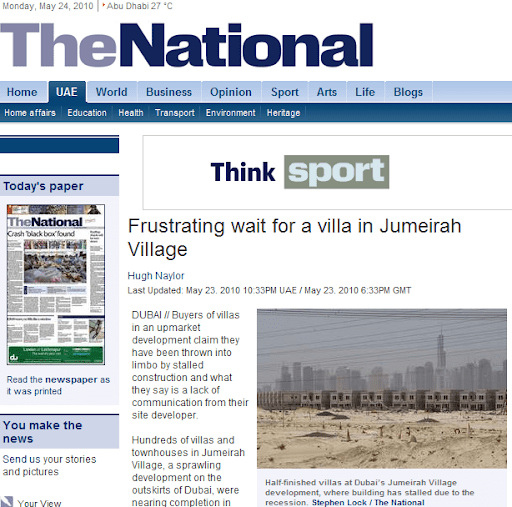 Although PalmInvest is not an officially registered company in Dubai, the PR Manager for Nakheel, master developer of the Palm, told Gulf News, “Yes, I’ve heard of them. In fact, we’ve taken legal action against them in the past to stop them using our projects and our name in their marketing and advertising. According to an employee of the company, PalmInvest is owned by Dutchman Remy Bal and is based in Hilversum in the Netherlands. However, neither the General Manager nor the Press Officer of PalmInvest was available for comment. On the company website, PalmInvest invites prospective buyers to ‘invest in the Palm Dubai’ and promises that it is ‘in all respects legal and fiscally responsible’. 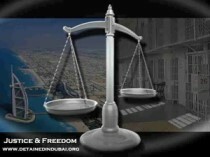 It also states that Dubai is ‘the right breeding ground for safe investments’. PalmInvest is selling bonds guaranteeing a nine per cent interest rate per year over a three-year period to investors willing to pay a minimum of Dh266,385 ($72,525). Dutch authorities arrested five on suspicion of fraud on Tuesday. The Netherlands’ financial prosecutor said in a statement that documents and luxury goods were seized during raids on eight offices and five homes in the Netherlands and one in Monaco.